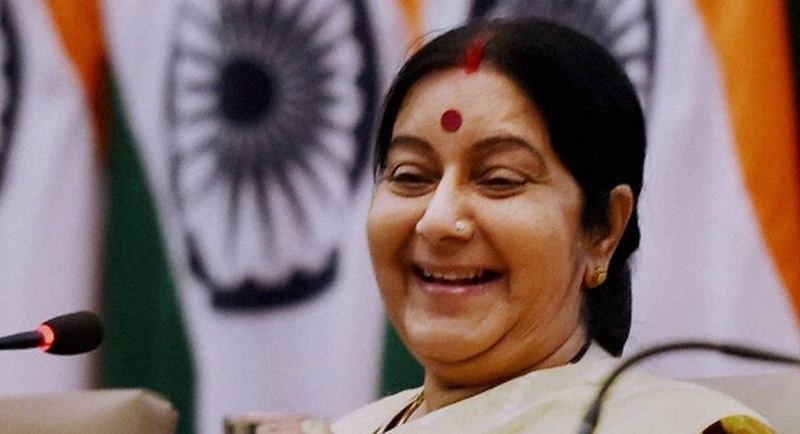 External Affairs Minister Sushma Swaraj continues to recover fast after a kidney transplant at the All India Institute of Medical Sciences (AIIMS) here, a senior doctor said on Tuesday. “The minister is recovering fast. However, it will take at least a week or so to discharge her. Our team of doctors is monitoring her condition,” the senior doctor, who was on the team that performed a kidney transplant on the senior BJP leader, told IANS. Swaraj underwent the kidney transplant from an unrelated donor on December 10 at AIIMS by a dedicated team of 50 medical staff, including several senior doctors like M. Minz, V.K. Bansal and Preet Mohinder Singh led by AIIMS Director M.C. Misra. The three-hour surgery was performed at the Cardio Thoracic and Neuro Sciences Centre. The 64-year-old minister, who has been in and out of AIIMS for the last few months, was admitted to the hospital on November 7.